We love that wallpaper is a thing again. Decorating a single, feature wall is a great way to add colour to a kid’s room without overwhelming the space. 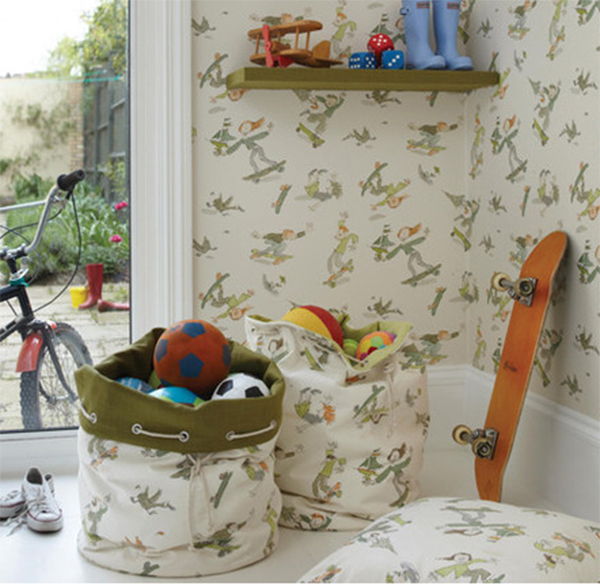 Wallpaper styles for kids run the gamut from prints purely for kids, to wacky and abstract ones, to prints that would be beautiful in other rooms of the house. Just Kids Wallpaper has rolls upon rolls of options, which means your only problem will be choosing a favourite. 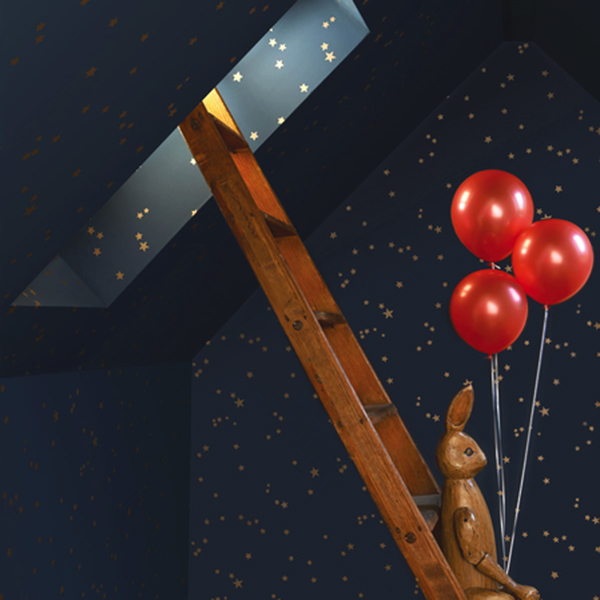 Cole and Son does lovely restful wallpapers with patterns of random gold stars on plushy midnight blue ($248 per roll), or etchings of birch tree forests. 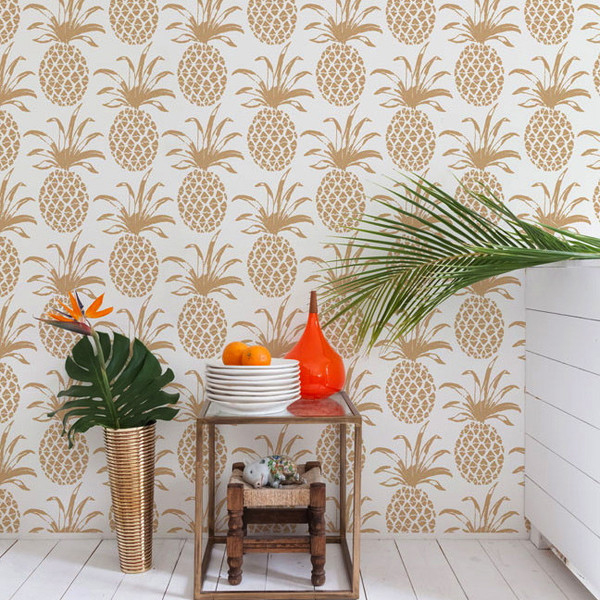 Aimee Wilder’s repeated patterns of gold pineapples on white ($365 per roll) are gorgeous, but fair warning, you might be tempted to use it for a wall in the kitchen instead. 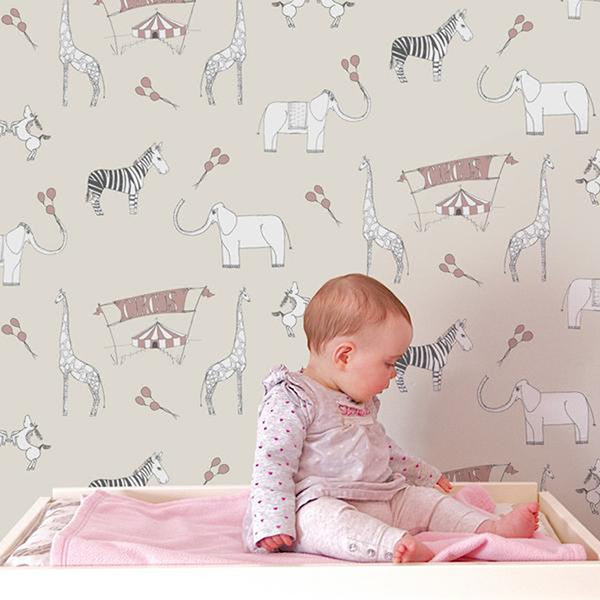 For something that’s classically nursery, Katie Bourne’s Merry Go Circus ($179 per roll) stylised animals are lovely and whimsical, but neutral enough that they’re not obtrusive. 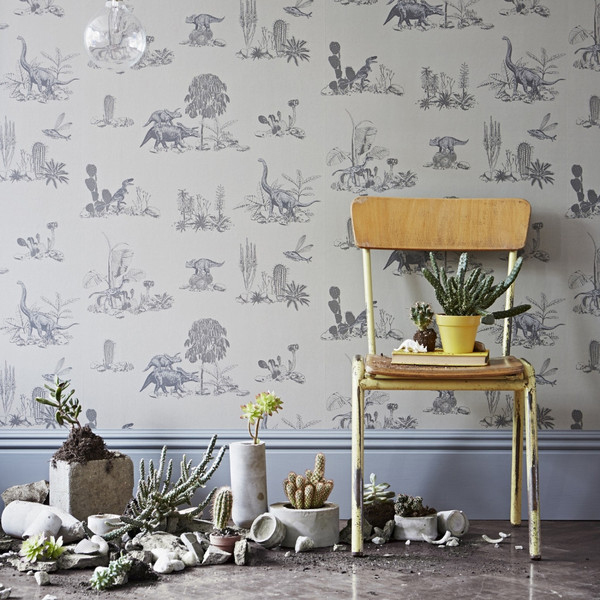 The Dino Grey wallpaper ($194 per roll) by Sian Zeng is similarly neutral, and perfect for little paleontologists in the making. Osborne & Little make wallpapers in a range of Quentin Blake style line drawings of skateboarders ($181 per roll) or cockatoos with pale watercolour on ink. Wallpaper is sold by the roll, and rolls are typically 10 metres long and 50cm wide. Samples can also be ordered if you’re not ready to commit. Shipping in Australia is free.